@1 certainly must beat the cost of a ticket to the space station, minus all the eating goo and pooping in a vacuum toilet ! PS: sorry to be a buzz kill, but are we sure he's an instructor ? 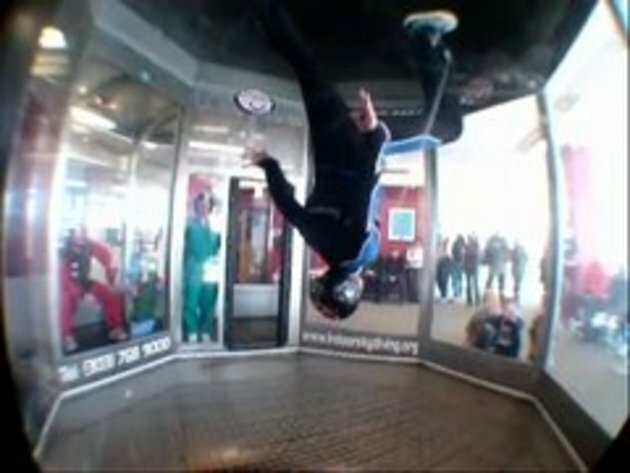 'cause he's kinda showing off a little too much; i'm pretty sure he might just be a regular at the indoor skydiving place. the power bill must be crazy running the fan on that. Can you sleep in things like these ? I would like to sleep in that thing, that would be genius! Its fun to do but also pretty hard to master. And you can't sleep in it. You will hit the top of the turbine i guess. I want that machine in my backyard..
And #4, he might as well be an instructor if he wants after all that show, if he isn't of course. I want one of these for drying my hair. So yeah, I tried this once in Tennessee when I was younger, about 15 and it is way harder than I thought. I was so mad because I wasted all this money to try the coolest thing in the world and I was barely able to do it. I sucked at it. I wish I worked there though, that would be fun so you could do what the instructor does! I'm gonna do that next weekend in Zürich ! !\o/ Can't wait. #19 the fan is really really really loud.